Sandra Thibodeaux is an influential and dynamic presence in Australian poetry – especially in the Northern Territory where she lives and works. Her work is dramatic with a clear and accessible voice: ‘a sure touch with the rackety world, a spare precision and a lyrical elegance’ as Patricia Prime wrote when reviewing Delivery. 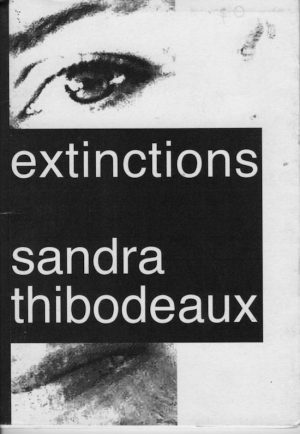 Extinctions is Thibodeaux’s second PressPress chapbook.